Sometimes the simplest recipes can be exactly what’s needed. Since the new term begins tomorrow, I’ve been looking for inexpensive recipes that are ideal for popping in lunchboxes or a mid morning snack. Pretty much every school has a strict no nuts policy now (and rightly so) so my usual banana and walnut loaf was a no-go. I turned to the Queen of baking herself, Mrs Mary Berry. This recipe is an adaptation of Mary’s simple banana loaf. 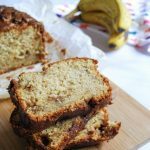 I highly recommend adding some fudge chunks – it takes a very plain banana loaf to a whole new level! 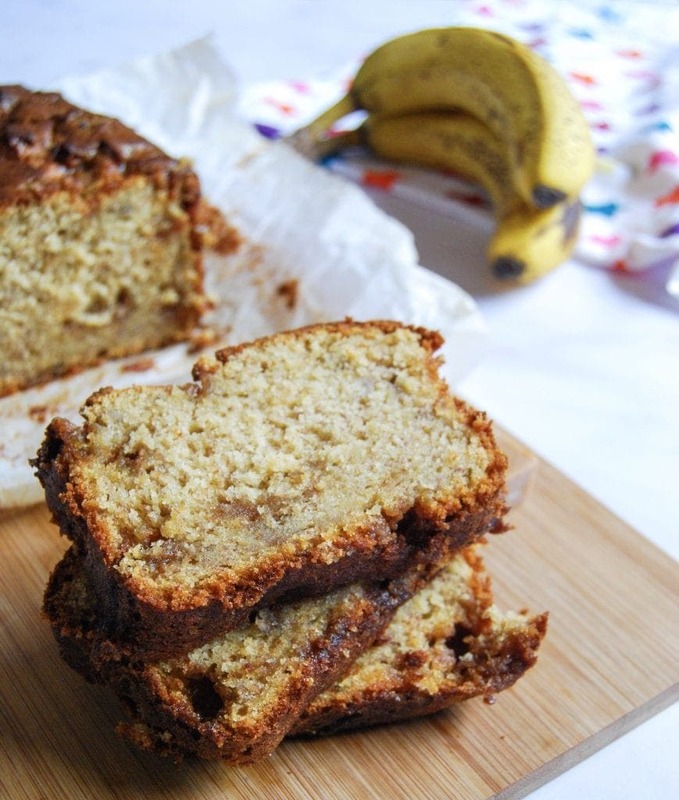 The key thing here is using very ripe bananas for the best flavour – the blacker the better. As well as being great for a packed lunch, this is really good spread with butter or drizzled with honey. This is the easiest banana loaf you can make - just a quick mix of the ingredients in one bowl and it's ready for the oven. Preheat the oven to 180C. Butter and line a 2lb loaf tin. Beat all of the ingredients together for two minutes until the batter is smooth and everything is well incorporated. Pour into the tin and bake for one hour, or until well risen and a skewer inserted in the middle comes out clean. Leave to cool on a wire rack. Love the sticky shiny look of it – delish!